Yesterday in Part 1 of how to achieve a successful Knoxville Short Sale we talked “About The Property”. Today I’m going to share with you all the information that needs to be gathered up on the seller/borrower for their portion of a Knoxville Short Sale Packet. This is a very important part of a packet. That must be put together correctly in order for the lenders to consider a short sale. 1. Signed Lender Authorization. You will need to obtain permission from the seller/borrower to speak to their lender on their behalf. If they have more than one mortgage on the property you will need to get authorization for each lender. This gives you the ability to negotiate the short sale on your sellers behalf. 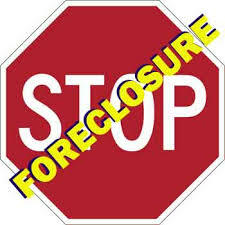 Without the signed authorization the lenders will not talk to you about your sellers situation. · Mortgage adjustment or loan payment increase. 3. Financial Statement: Is just that the seller/borrower will put together a current profit and loss statement for the lender. Sharing you current financial situation in writing shows your lender exactly where you are financially and is critical in helping your lender deciding on if they will accept the short sale or not. 4. Current Bank Statements: We will copies of the last 2 months of your current checking, savings, retirement account statements for your lenders. They will ask for this information and we provide it up front to them. 5. Most Recent Pay Stubs: Your lender is going to want to see your current income level so we provide them with in this part of the short sale packet. 6. Last 2 Years Of Tax Returns: The lender will want to see a history of your income over the last couple of years and tax returns provide them with that information. Realtors who are not trained as extensively as a Knoxville TN CDPE will call the lenders and ask what the lenders wants in a short sale packet. Then the lenders will email or fax their own forms to the Realtor. If you have 2 lenders you have 2 different sets of forms which makes an already difficult situation more difficult. As a Knoxville CDPE we have all the forms and they are more detailed than most lenders require and they accept our forms. Therefore we get a higher percentage of our short sales approved because we are trained in the area of short sales.